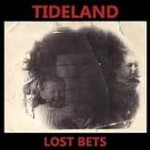 The self-released second album from Tideland from Virginia continues on the path of the first album, which is a good thing. While on some songs it’s more obnoxious than before, on others they continue channeling bits of My Bloody Valentine, Dinosaur Jr. and Sonic Youth (not so much Nirvana this time). They play indie rock, if you like, that’s sometimes intricate and often atonal and off-kilter, and always energetic. The album opens with a brief, clangy guitar, to let us know this isn’t your uncle’s indie rock to sit back to. The thing to grapple with is the main vocalist, who wasn’t really an issue on the last album. On the edgy, grating songs it works to have a grating—up to the edge of annoying—vocal, but on songs that are more rock and more melodic, the same vocal style doesn’t sit well. He works best when he belts out lyrics at the top of his lungs, like on the song “Ripper.” These guys come from the Sterling, VA school of youthful exuberance, but you can’t stay young forever. This entry was posted in Reviews and tagged indie rock, rock, Tideland, Virginia by Editor. Bookmark the permalink. Great review! I saw these guys at a basement show a few weeks ago and they rock! Next show for them is at the Lab in Alexandria Dec 16th.